The lab has a HTC Vive Pro Virtual Reality equipment. It is used to visualize point clouds from our scanners and drones. 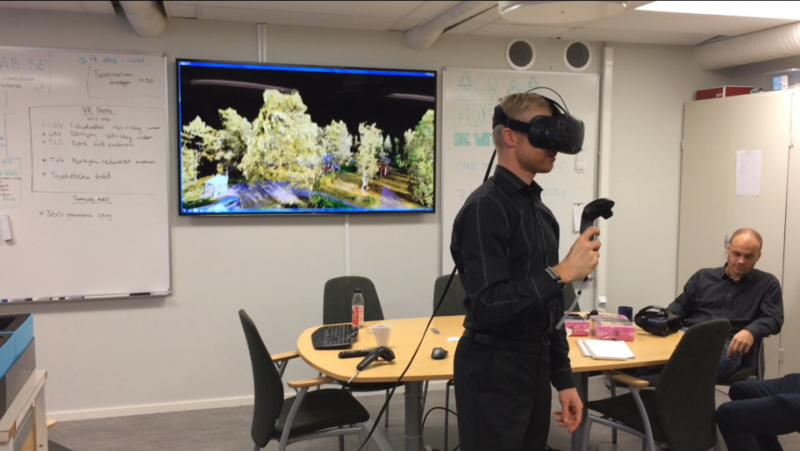 Henrik visiting a forest in Virtual Reality. More information about the development of a “software” to import, export and visualize point clouds in Virtual Reality.